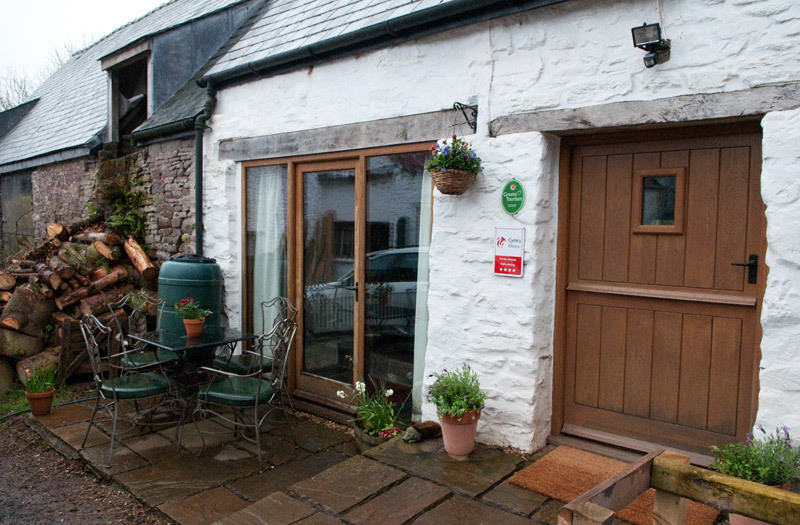 Ty Fferm Hen 4 Star Farmhouse Green Tourism Gold Award within the Brecon Beacons. This is the original medieval listed farmhouse dating back to the 16th century. 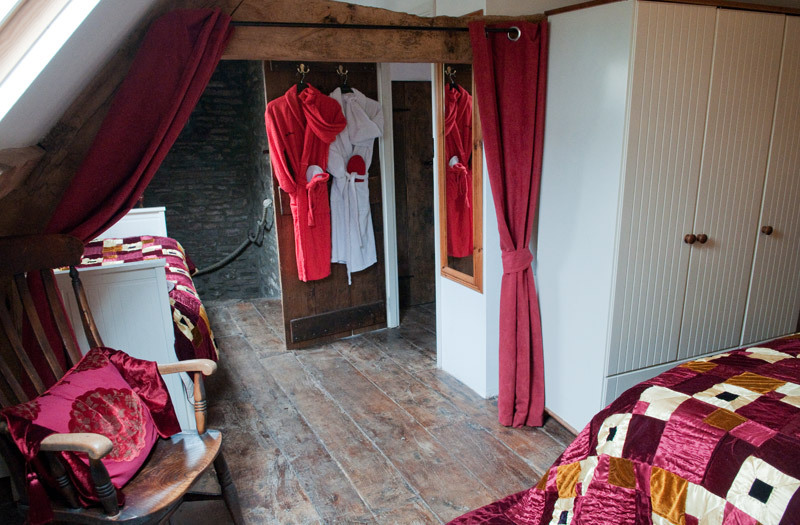 Situated within the Brecon Beacons National Park, this 1 bedroom cottage has original oak beams and oak flooring throughout. It sleeps up to 4 people with a large open plan double bedroom, it also has a single bed with additional pull-out single on landing area separated from bedroom with curtain. 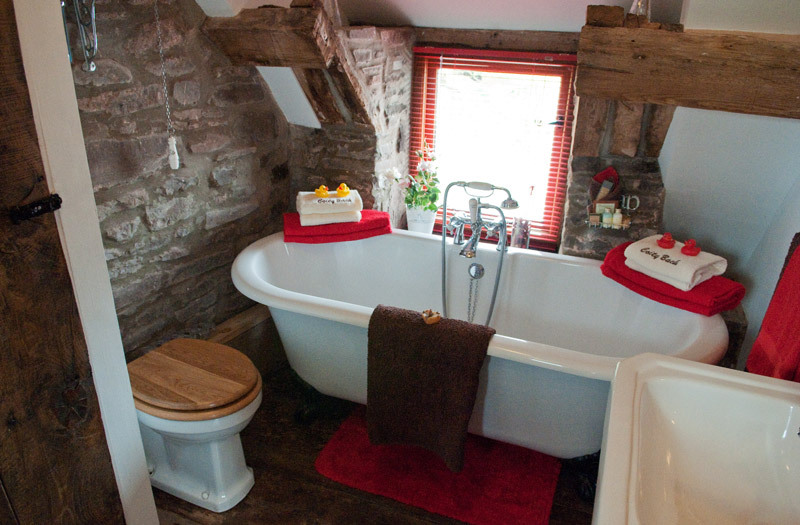 The bathroom has a stand alone slipper bath, shower attachment and traditional high level Victorian toilet. It has the original large stone spiral staircase which is very unique. 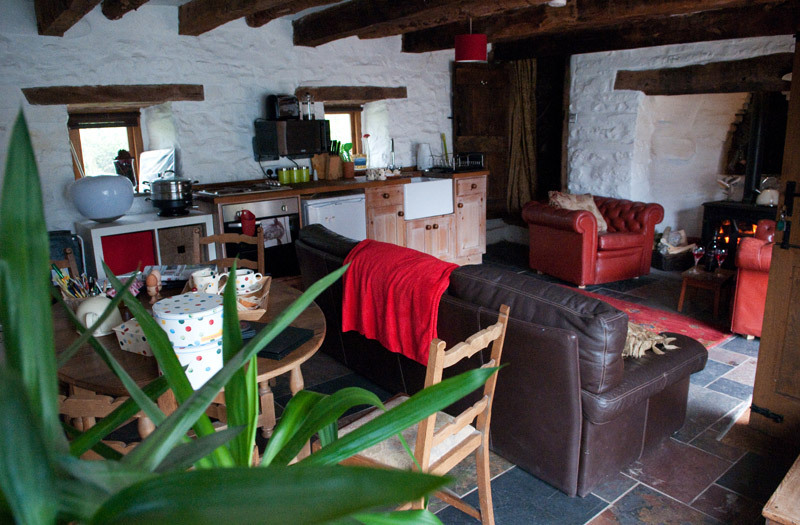 Downstairs is an open plan living/dining room with hand made wooden fitted kitchen with slate flooring, and wood burner nestled in the old ingle nook fire place with old bread oven providing central heating and hot water. You enter through a traditional oak stable door, walking out onto a flagstoned patio area with outside seating and furniture. Parking (2 cars). 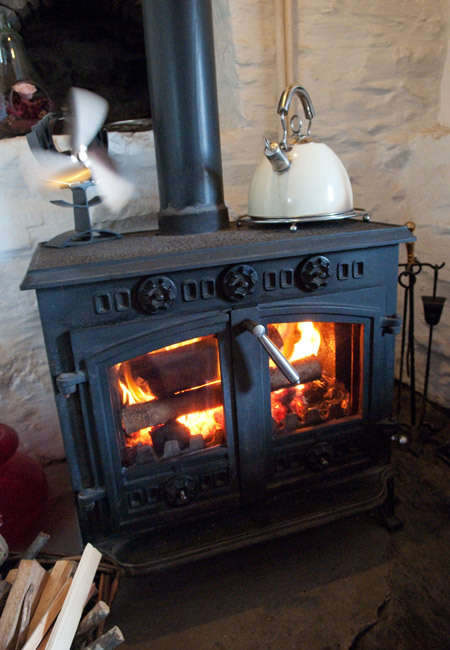 Ty Fferm Hen is set in the farm grounds with beautiful views of the Black Mountains & Brecon Beacons Within a mile of Talybont village which boasts four pubs, café and the Monmouthshire to Brecon Canal. For cycling and walking bridle paths, footpaths go from the farm gate, and the Taff Trail within 1/4 mile and a registered cycle trail starts within 100 yards.